Peshawar Zalmi announces the launch of Azadi Cup in KPK which is going to provide a platform for the youth to showcase their talent yet again". 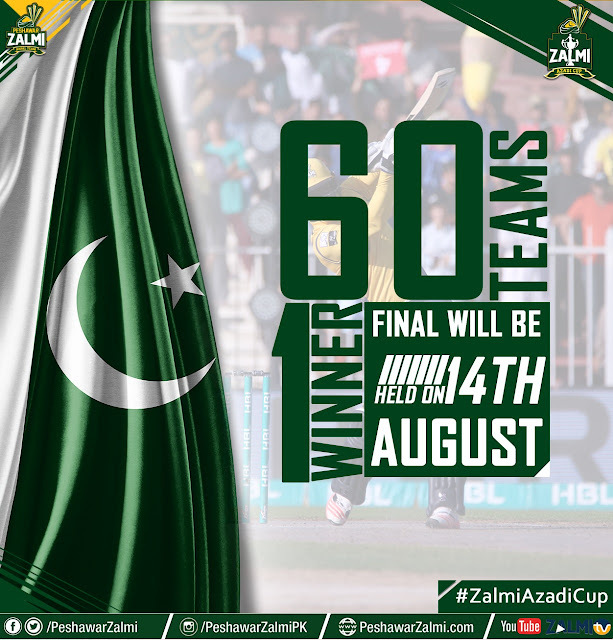 To further enhance the excitement of the youth for the Independence fever, Peshawar Zalmi brings you the Azadi Cup which will have 60 teams compete against each other. Top 6 teams will go for the final rounds. 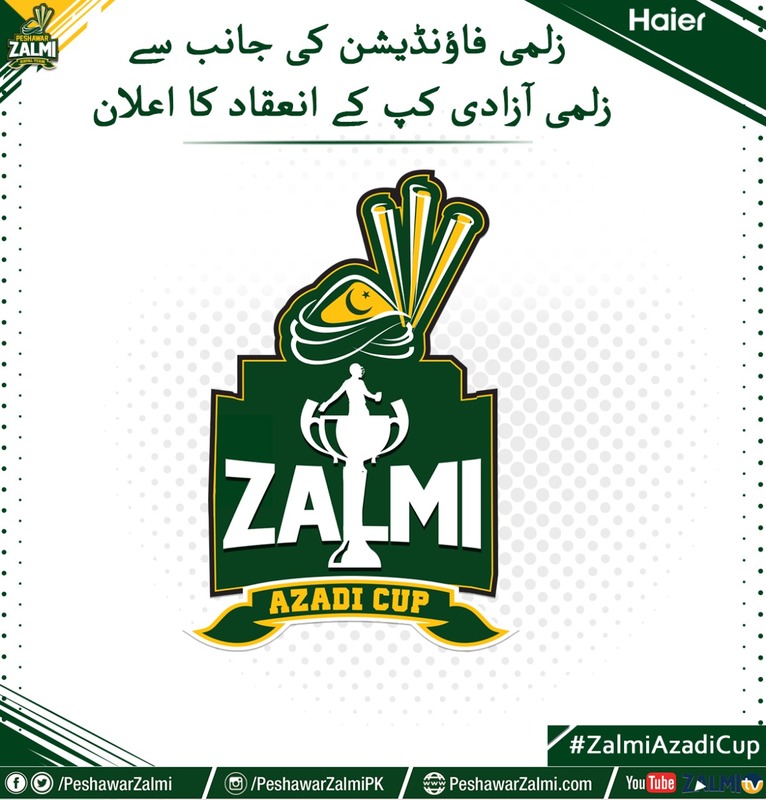 Chairman Peshawar Zalmi,Javed Afridi while expressing his feelings about this initiative said that "The players who benefited from the Zalmi Haier 100 pitches project will be seen in action in the Azadi Cup. We believe that the practice they have done on those pitches will be put to good use in the Azadi Cup 2018. Peshawar Zalmi is committed to facilitating our youth in every possible way". 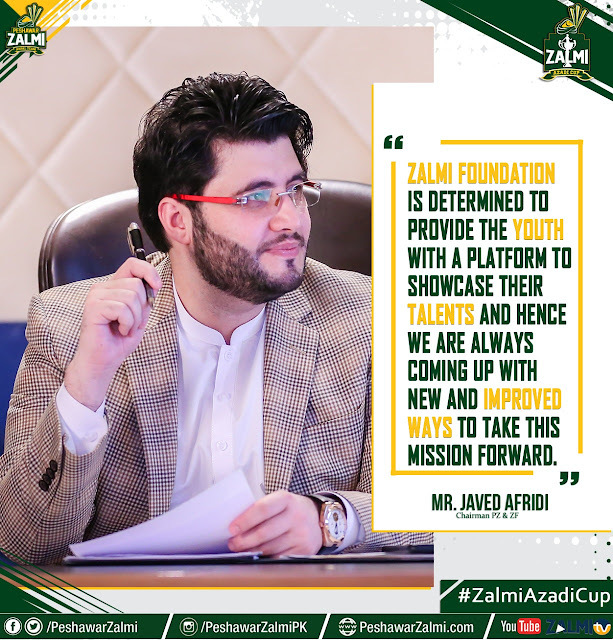 Zalmi Foundation is determined to provide the youth with a platform to showcase their talents and hence we are always coming up with new and improved ways to take this mission forward. Social Media was abuzz with praise for Peshawar Zalmi’s Chairman Javed Afridi for coming up with another initiative to promote cricket at grass root level in Khyber Pakhrunkhawa province.